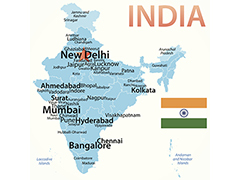 Few mobile markets have developed more rapidly than India’s. With more than 900 million subscribers and over 15 million mobile devices sold each month, India has quickly risen to become one of the world’s largest mobile markets, second only to China. In the process, there has been a revolution in the ways that government and business interact with hundreds of millions of newly mobile-empowered Indian users. In a recent interview for Cyber India Online (CIOL), I had a chance to talk about some of the amazing opportunities this growth has brought, and Syniverse’s increasing focus on this rapidly evolving market. Of particular importance, in addition to services for mobile operators like roaming and messaging that Syniverse has long delivered, we are now involved in several new services to help Indian enterprises leverage the power of mobile to better reach their customers. I invite you to read the full interview and then share any comments you may have on the potential of India’s soaring mobile market.